We have all heard this phrase, “live in the moment,” but what does it mean to apply it to our daily lives? How can we instantly transform our lives with this concept? 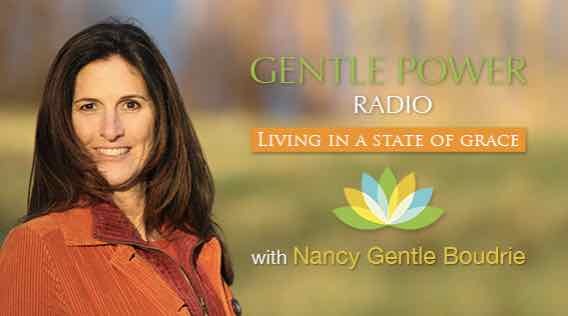 Join Nancy Gentle Boudrie, host of Gentle Power Radio, and guests Ariel and Shya Kane, internationally acclaimed consultants and seminar leaders, as well as award-winning authors of several books, hosts of the radio show, Being Here, listened by thousands each week on 7th wave channel of VoiceAmerica. They are the authors of Working On Yourself Doesn’t Work: The Three Simple Ideas That Will Instantaneously Transform Your Life. They will discuss how in three easy steps we can change our lives by living in the moment. There will be a Q&A portion to this show where you can ask guests Ariel & Shya and Nancy questions by calling toll-free 1-888-346-9141.